After what felt like an eternity, we are finally back! After the craziness that was the divisional showdown of the NFL playoffs, we discussed who we think is going to make it to the Superbowl, and all agreed that no matter who makes it, the Patriots are going to win it. 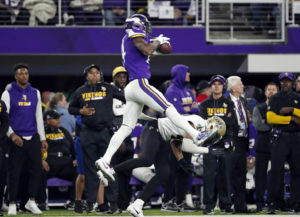 Not to mention, the poor Saints on the verge of making it to what could be Drew Brees’ last chance at a title, missed the mark. 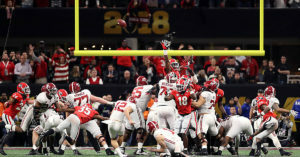 We also talked about the College Football National Championship, our final take on college football for the year, where Georgia seemingly had the game in the palms of their hands until Saban made a gutty move and ultimately made the comeback. We still looked into MLB, though heavy into the offseason, as big trades were made like Stanton to the Yankees, and also who the Blue Jays are acquiring. We dove into the stellar season Demar DeRozan and the Lowry-less Toronto Raptors are having, beating teams like Milwaukee and Cleveland, and having a 2-point game with defending NBA champs Golden State. We also took a short look at college basketball, as the top teams have been shaken up, and other teams that haven’t been relevant in a few years are starting to make their comeback. As always, we gave out our 3 stars, which ended in a 1-month Ohio State ban, and talked about who done messed up this week in sports.